Veeeresalingam left alone is enough). So go the lines of this Telugu song from the movie Andhra Kesari, a biopic on Tanguturi Prakasam Pantulu. The song pays a tribute to the city of Rajahmundry in Andhra Pradesh, located on the banks of the Godavari. What I have given is a rather approximate translation of those lines, and may not really capture the true essence. But it is the last two lines that really are worth a look at “Kottukoni poyi vunna koti lingalu, Veeresalingam okadu migilenu chaalu. As per the Brahmanda Purana, the Gods once conducted a Yagna here to propitiate Shakti, and they cut off their own body parts to sacrifice as offerings. Pleased with their devotion, Shakti emerged with a radiance of a crore( Koti) suns and the effluence of a crore moons, and one crore(Koti) lingas emerged here. In due course of time, those Koti Lingas were believed to have been washed away by the Godavari. The lines basically stress the fact, that one Veeresalingam was equivalent to all those Shivalingas washed away. The reference here is to Kandukuri Veeresalingam, often regarded as the father of Modern Andhra Pradesh, social reformer, activist, writer, the quintessential Renaissance man. While the Bengali renaissance is well known and discussed, one aspect that has often not really got the due attention is the way it impacted reform movements in other parts of India. The work done by Brahmo leaders like Raja Rammohun Roy, Keshav Chandra Sen and reformers like Ishwar Chandra Vidyasagar, began to spread to other parts. Kandukuri Veeresalingam was one among them, deeply influenced by Keshav Chandra Sen, and whose work would forever play a defining role in Telugu society and culture. In a way, Kandukuri was to Telugu people, what Raja Rammohun Roy, Ishwar Chandra Vidyasagar were to Bengalis or Mahatma Phule, D.K.Karve were to Maharashtrians, some one who raised his voice against the social evils and hypocrisy that was eating up society from within those days, and who defined it’s direction. Consider his contribution, the first person to conduct a widow remarriage in Andhra Pradesh, the first to start a co-educational school here. And as a writer, the first Telugu novelist, the first autobiography in Telugu, the first to write a history on Telugu poets and the first Telugu writer to translate scientific books. In a sense he was the pioneer in many ways, laying the foundation for modern Andhra society. Personally an agnostic, Veeresalingam, started the Brahmo Samaj in Andhra Pradesh, and a social welfare organization called Hitakarini for which he donated his entire property. And if that was not enough, he also carried out a crusade against corruption in Government as well as in the courts. On the grave of Veeresalingam, the following lines can be found by Chilakamarthi Lakshminarasimham. Loosely translated, the above lines meant – “ One whose body, time, wealth, learning was used for humanity, that great man was Veeresalinga Kavi”. On April 16, 1848 Veeresalingam was born to Subbarayudu and Punamma in Rajahmundry, his ancestors hailed from Kandukur, now in Prakasam district, which also accounts for his surname. With his father passing away when he was just 4, Veeresalingam grew up in the loving care of his peddanana( paternal uncle), Venkataratnam, who treated him like his own son. He also had a close attachment to his mother, who was his main support after his father passed away. At the age of 5 he joined a local school, where he soon learnt the Bala Ramayana, Sumathi Satakam, Krishna Satakam in due course of time. A brilliant student, he joined the Government High School in Rajahmundry, in English medium, when he was 12, and that is where he studied English literature, as well as the works of Keshav Chandra Sen, that influenced him tremendously. Keshab Chandra Sen’s ideas on women’s emancipation, influenced Veeresalingam and he soon began to raise questions on the condition of women in society, as well as the existing hypocrisy prevalent then. A rationalist, he had no interest in rituals, and disbelieved in existence of ghosts and spirits, in fact he would often go to the graveyard, alone to debunk the theory of ghosts. He was appalled at what he saw was the selfishness, laziness, hypocrisy that seemed to have come over the Telugu people then, and he openly raised his voice against it, through his essays and articles. He was considered a madman, this is not Bengal, this is Andhra, your views won’t work here, was what Veeresalingam was told. Though he was married off to an 8 year old Bapamma, he spent the rest of his life fighting against child marriages. With his peddanana, who was his guardian passing away in 1867, it fell upon Veeresalingam to run the household now. He tried for a Government job, but when the officers said that he needed to bribe if he wanted one, he refused to take it up. He was keen on becoming a lawyer, but again seeing the corruption and rot in the legal profession, he decided against it. Finally in 1869 he joined as a teacher in Korangi village, where he worked for 2 years, and then moved to Dhavaleswaram near Rajahmundry, as the headmaster of an English medium school. As a teacher, he also inculcated values in his students, as well as awakened them on the condition of the society. As some one who deeply felt for the cause of women’s education he started a girls school at Dhavaleswaram. In 1876, he quit his teaching job, and started a monthly called Vivekavardhini. His aim was to awaken the masses on the social evils prevalent then, through his writings. While the monthly used to publish from Madras initially, he later set up a small printing press at Rajahmundry itself with the help of his friends, and it was published from there. Through his monthly, Veeresalingam, would write strongly against corruption, superstitions, child marriages, that were prevalent in society then. 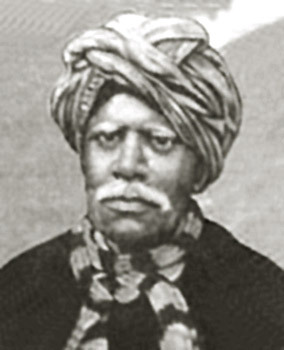 In a way Veeresalingam was the pioneer of the social reform movements and Renaissance in Andhra Pradesh, that was influenced by the Bengal renaissance. Veeresalingam, was however not merely an armchair preacher, he actually walked the talk and faced a whole lot of opposition for it. Widow remarriage was one of the causes Veeresalingam strived for sincerely, and he actually got it done, this inspite of being boycotted by the society and community at large. He took on the society head on, with his stance on widow remarriage and women’s education, and was heavily criticized for it. His speeches at Vizianagaram Maharaja Girls High School in favour of widow remarriage, angered many conservatives. “Who is this ignoble person? Has he been born in Rajahmundry for corrupting our values? Is he truly a Brahmin?” were some of the abuses hurled against him. Veeresalingam pointing out the hypocrisy of people who encouraged prostitution in the name of tradition, but refused to accept widow remarriage, angered them even more. In effect Veeresalingam, showed them the mirror of their own hypocrisies, their double standards, their self-centeredness and that was not to their liking. Many eminent men like Kokonda Venkataratnam pantulu, Ogirala Jaganadham, Dantuluri Narayana Ganapati Rao, strongly attacked Veeresalingam through articles and letters. However one letter did catch his attention, it was from Brahmasri Darbha Brahmanandam, Deputy Tahsildar of Tiruvuru in the Krishna district. The letter spoke about a 12 year old child widow Gouramma in Tiruvur, and how her mother Sitamma was ready to get her married again. Veeresalingam bought Gouramma to Rajahmundry and kept her at home in the care of his wife. He now began to search for a suitable groom for Gouramma and recalled one of his former students, Gogulapati Sriramulu, who was now working in Vizag Police Headquarters. Sriramulu immediately agreed to Veeresalingam’s request out of sheer respect to his teacher. Sriramulu himself was a widower, having lost his wife sometime back, and was leading a lonely life. The marriage was the talk of the town, no one even knew who the groom, though every one knew the girl was Gouramma. The then Inspector General, of Rajahmundry Colonel Fortis, provided the security for the marriage. His friend Paida Ramakrishnayya provided the financial help needed for the marriage. And with Veeresalingam providing the necessary moral support the first widow remarriage was conducted on Dec 11, 1881 in Rajahmundry. It was a decision that would come at a terrible personal cost though, Veeresalingam was boycotted by the society, so were the couple as well as the boy’s parents. It did not deter him, in fact it made him more determined than ever, he swore to get as many widows remarried as he could. He was a man made of iron determination, never once did he swerve from the ideals he believed in. Friends like Pyda Ramakrishnayya, Atmoori Lakshmi Narasimham, Basavaraju Gavaraju, and his own students were his biggest strength. His wife Rajylakshamma( her name was changed after marriage) also proved to be a great source of support, and worked shoulder to shoulder with her husband in his cause. Till his death he conducted around 40 widow remarriages. Apart from widow remarriage, the other cause, that Veeresalingam held dear to his heart was women’s education. He began the first Theist high school in Andhra Pradesh and later established the Hitakarini School at Rajahmundry in 1908. He also established the Town Hall in Rajahmundry, the first ever of it’s kind in Coastal Andhra Pradesh. In the Theist school, students were made to recite a special prayer, in praise of the Supreme Being, that was written by Veeresalingam himself. Apart from regular education, students were also taught to take up social service in his schools, he he believed in a value based learning. He donated his entire property for the Widows Home he set up at Rajahmundry as well as the Hitakarini Samaj, which oversaw most of the social activities. The Theist High School now has a Degree College too in Rajahmundry and he set up another college for women named after his wife Rajyalakshmamma. Veeresalingam, spoke of the importance accorded to women’s education in Ancient and Medieval India, citing the examples of Raja Bhoja and Sri Krishna Deva Raya, whose courts had many prominent women poets and scholars. He spoke about how women like Sita, would sit along with Lord Ram in the assembly side by side, and how our country was at it’s most prosperous when women were equally respected with men. He claimed that India declined only when it began to treat the women like slaves, and did not educate them. He was also a prolific writer, having an excellent command over Telugu, English and Sanskrit. He was the one who introduced essay, autobiography, novel into Telugu literature, and wrote in a style that was easy to understand. He authored many famous epic ballads in Telugu, some of which were Markandeya, Rasikajana Ranjanam. He also authored Abhagyopyakanam, a satirical poem, on the ills of society, and Saraswati Narada Vilapam, a satirical work on the pandits, who he felt were insulting Saraswati through their actions. Among his other poems were Neethi Padhyalu, a series of poems, on morality and ethics, Stri Neethi Deepika, about how a woman should conduct herself. He also translated William Cowper’s John Gilpin and Oliver Goldsmith’s The Traveller into Telugu. Among the plays written by Veeresalingam were Chamatkara Ratnavali, a Telugu adaptation of Shakespeare’s Comedy of Errors, Kalidasa’s Shakuntala in Telugu, Satya Harischandra and Malvikagnamitram. He also wrote the first modern novel in Telugu, Rajashekara Charitamu( The History of Rajashekara) influenced by Oliver Goldsmith’s The Vicar of Wakefield, in which he exposed the existing social evils and supersitions. He also made good use of many Telugu proverbs and sayings in this novel, and in a way laid the foundation for future writers. Another well known novel of his was Satyaraja Purvadesa Yatralu( The Travels of Satyaraja in Purva Desa) a Telugu adaptation of Gulliver’s Travels, again where he effectively made use of satire. Satyavathi Charitram which emphasized the importance of women’s education and Chandramathi Charitram, about religious practices, were his other novels. Veeresalingam also started the practice of exposing social evils, using social satire and conversation in his Viveka Vardhini monthly. Adopting humor, wit, and using the form of conversation he exposed many social evils be it casteism, child marriages, superstitions, corruption in the Government and prostitution. He also wrote around 190 essays in his magazines, about importance of women’s education, reforming society, husband and wife relations. Apart from his own autobiography called “Sweeyacharitamu”( My Story), he also wrote a scholarly tome on the history of Telugu poets called “Andhra Kavula Charitra”( History of Andhra Poets). He also translated scientific works on Biology, Human Body into Telugu, and wrote commentaries on the Rig Veda. Apart from Viveka Vardini he also ran other magazines like Satihita Bodhini, Satya Samvardhini, Satya Dhoota, Chintamani and Telugu Janana. Educationist, writer, journalist, social reformer, Kandukuri Veeresalingam Pantulu was truly a giant of a personality, a proud son of India, and an icon for all Telugu people. A man who pioneered social reforms as well as introduced new literary styles in Telugu literature, he was truly the “Father of the Telugu Renaissance”. On May 27,1919, Kandukuri Veerasalingam left the world, physically, but his legacy would live on forever. అదేంచిత్రమో గాని తాము శారీరకంగాదుర్బలులైనా జాతిని బలిష్ఠం చేసి దేశాభివృద్ధిని, భాషాభివృద్ధినిసాధించిన మనోబల భీములలో పంతులుగారుప్రధములు. రెండోవారు గురజాడవారు. అటువంటి ఉజ్వల చారిత్రకుని ఏబిరుదుతో వర్ణించినా అది అసమగ్రమే. అయినానవ్యాంధ్ర నిర్మాతలనే నిర్మించినవారిగా నేను పంతులుగారిని భావిస్తున్నాను.అభినవాంధ్రకు ఆయన ఆద్య బ్రహ్మ. Translation of that above tribute by Arudra, a famous Telugu writer. For a man who was physically weak, Pantulu garu had an iron will and determination who strengthened the nation as well as Telugu language. No title is appropriate for such a luminous personality, he is the Brahma of Modern Andhra- Arudra, famous writer. This entry was posted in Andhra Pradesh, Great Indians, Social Reformers and tagged Social Reformers, Telugu Renaissance, Telugu Writers. Bookmark the permalink. most of what you wrote is a partial presentation of veeresalingam. the other,darker side, is more devastating and potent enough to set off events that not only exceeded his so called good works but also a train of social events that resulted in weakening the Hindu society. if the purpose of any reform is to strengthen the reformed entity, then, kandukuri veeresalingam and such other ‘reformers’ like ‘mahatma’ phule harmed the society more than they benefited it. for more information about veeresalingam, refer to ‘veeresalingam velugu needalu’ by digavalli venkata siva rao, and for phule’s true colors, see his book ‘gulam giri’. i read a couple of your posts and they are good. Great sir dont see one side of our leaders i think good and other side see the truth thankyou very much……. I accidentally stumbled upon this article. I understand that you failed to assess Vireshalingam fully. We can see what a rogue Veereshalingam was in openly declaring ( and writing in his autobiography too) that freedom from English rule is not good for us, and we should continue under their rule, and that we should only beg for freedom just to have it if they kindly award it to us. He surrendered to the English for their support to him in his so called reforms and in prescribing his books to the university and school syllabus. He fell into the strategy of the English which highlighted those who speak anything against the natives, their culture, and their religion. Like MK Gandhi , V Lingam tooo was fostered by the English. Dont forget that his fight against the corruption was not coupled with any movement against the suppressive rule of the then English. Also, you may refer to the legal cases run against V lingam by T Sreeraamulu and his famous brother T Prakaasam. All his knowledge, scholarship and the so called achievements apart, V Lingam was not a good son of his soil, that is all. And some of us feel proud that his Rajashekharacharitram was translated in to English and that it was a great honour to our language. If we go through the preface of the translation, it would be clear why that book was translated by the contemporary English fellows. How can we admire a fellow who called people like Khudirambose with names as murderer, traitor and the like? I appreciate your brief article on Lachi Bar Phukan as highlighting such less sung heroes is more needed now, than second-coating the boosted fame of the so called reformers who more split the society than uniting it. May you see success in presenting our glorious past before the present less-reading generation.